So, where and how do we fix this mess? For starters, diet is one of the keys to taking control of your body, reducing your doctor visits and thus reducing our overall need for the charlatans. I know there are a lot of doctors out there that truly want to help but the profession has been corrupted by corporate figure heads and number crunchers that have changed the game. They see us all as dollar signs and we must put an end to this. Seek instead integrative health professionals (practicing functional medicine) that understand the whole body including the value of proper nutrition instead of slapping a band-aid on a symptom, only to see you every 3 months for adjusting dosages. Humanity has survived for this long without all of these metabolic disorders and lifelong medications and we need to understand why this is happening to us now. I truly believe a whole foods diet such as Paleo or Ketogenic in nature is the start to turning things around. Not only would we be finally dictating what we want to eat but we'll also be giving our bodies what it needs to live. We have the power to drive this machine but we've let someone else take the wheel. I've been Paleo for over a year now and gluten-free for two. I have not seen a doctor in over ten years and you can do the same if you work to fix your body. I fully believe in giving the body a chance to heal itself but in order to get to that point our immune systems must be recovered from the constant barrage of environmental pollutants including the devastating effects of modern medications. This can be a slow process and not everyone is willing to work hard for better health but this is the only way to reclaim our humanity. We need to be skeptical and not blindly follow doctors. 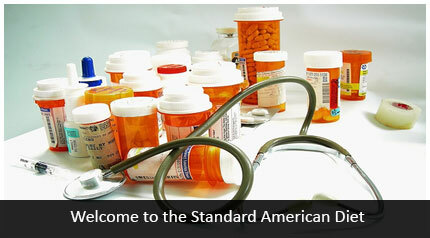 There is an inherent sickness to the medical industry and it has pervaded our everyday life in the way of commercialization of drugs, the outright testing on the human population with the latest designer medication, the ignoring of the Hippocratic Oath, and the outright arrogance of doctors to dissuade their patients from the right path of health in favor of drugs. Stop giving your money away and dedicate your life to a healthy lifestyle if you truly want to see change in this world.